The black colour party wear Cocktail blouse embellished with crystallized Glittering stone work around the neck followed by sleeves with full sleeves blouse.This blouse latest trend in high neck blouse. women's latest trendy 2013-2014 fashion blouse. the cocktail high neck blouse embellished with half white colour embroidery work designs . 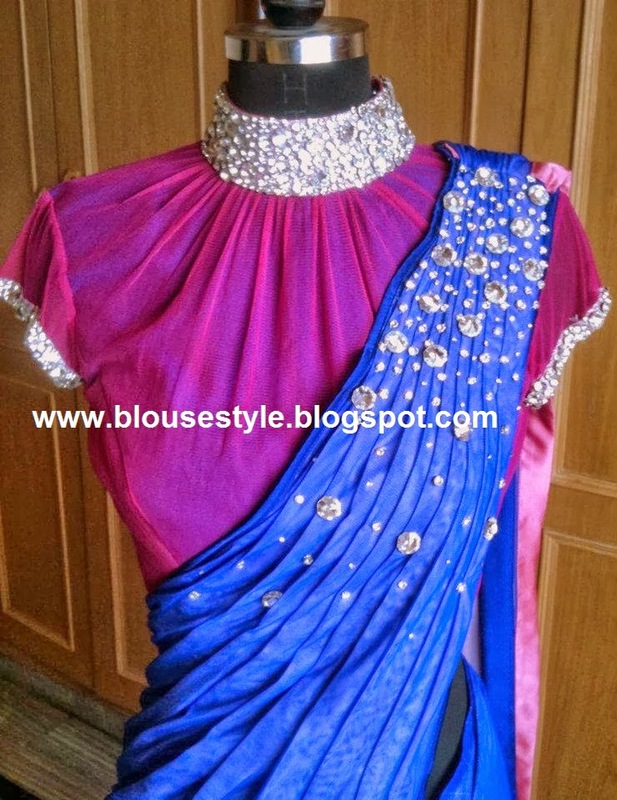 women's latest high neck blouse purple colour with embroidery work and full sleeve blouse and front look..